Almost six months after we last spoke to him at the Hearthstone World Championship, Shacknews revisits Hearthstone Esports Franchise Leader Che Chou to discuss the Year of the Raven, controversy with certain hotfixes, and the HCT's new shoulder content initiative. The 2018 Hearthstone Summer Championship has come to an end, with one winner standing above the rest. 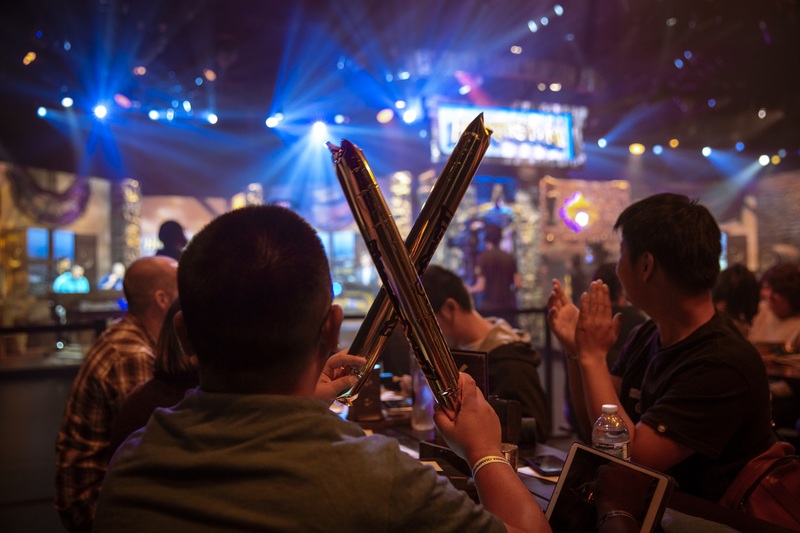 However, the Hearthstone Esports season is just getting warmed up, not only moving right along towards the Hearthstone World Championship in early 2019, but also looking to make some adjustments along the way. Shacknews last spoke to Hearthstone Esports Franchise Leader Che Chou during the 2017 HCT World Championship weekend back in January. With the new season well underway, Shacknews returned for another round with Mr. Chou, asking about the evolution of the 2018 Hearthstone Championship Tour, the growth of the Hearthstone community, the Tess Greymane controversy, and carrying on after the departure of beloved Hearthstone Game Director Ben Brode. Shacknews: I enjoy this opportunity to check in on the current state of Hearthstone Esports. Last time we talked, you said that 2016 and 2017 were Hearthstone's "growing up" phase and 2018 was going to be the adolescent phase. How do you feel this adolescent phase has gone so far? Che Chou, Hearthstone Esports Franchise Leader: In terms of adolescence, as we've all been through it, I think it could be tumultuous. So far, if you describe it as adolescence, I think it's going pretty well. A lot of the new systems that we put in place, such as Tour Stops, Masters, and the separation of Challengers and Pros, I think is going really positive and, obviously, my team and I are keeping a close eye on the balance of things and community sentiment. To me, a couple of the standout are, one… we knew that having Tour Stops was an important component, at least for us. We felt passionate that there was a vibrant scene in competitive Hearthstone. We wanted to do more than just have them play in online cups and sit at home and play online. So we knew that we wanted to see what would happen if you brought your core contingent of your top 500 players together on this tour. And so far, what we've seen is incredible synergy and comradery, in terms of the player base coming together and sharing stories and sharing strategies, even while they're competitors at these tournaments. The second thing is, demand has outstripped supply. Every time we open a Tour Stop qualifier sign-up, it fills up instantly. So we're monitoring conversation around topics like "Are there too many Tour Stops? Are there not enough Tour Stops?" We've heard feedback around the accessibility of Tour Stops. Some players feel like it's not a big deal. Other players feel like it's a huge deal, because they don't have the resources to travel to Grand Prix events and events that are purely offline. Those are the things that we're monitoring and, kind of like last, we are still in a "learn" phase. We are definitely looking at how things are going and we will adjust according to what's best for our community. Shacknews: There have been quite a few Tour Stops and you've hit places like Italy and Singapore. But between these events and the Grand Prixs at different DreamHack events. What do you feel is the key to preventing event fatigue for viewers? Chou: I'm not sure that there's viewer fatigue just yet. I do think that where we can get better is in articulating to viewers how all of it fits together in a very easy-to-understand linear progression. Because at the end of the day, these Tour Stops, qualifier events, and activities all feed into the playoffs. And for us, in terms of viewer fatigue, I don't think it's quite there today, but I do think that we can do better about stringing the stories together. Some of that initiative is happening right now. One, shoulder content is important, so we've launched a couple of things. One is Talk Stone, a bi-weekly video podcast talk show featuring HCT talent and that is designed to help bridge the in-between Tour Stop weeks. Right now, with 24 Tour Stops this year, there's almost a live Hearthstone event every week on broadcast. Fans are hungry for it and we're seeing viewership numbers at a good place, but I think that to string it together into a narrative of this event, this event, this event, and what does it all mean and what does it mean for pro team standings, and what does it mean for top players? We wanted to get a show together to let our viewers better understand how the story fits. That's hosted by Frodan [Dan Chou, no relation], TJ [Tyler James Sanders], and ThatsAdmirable [Nathan Zamora]. So we launched that just the other week and it's doing well. We also have a documentary series called "The Tour," which is designed to provide more of a human angle to Tour Stops and HCT. And behind the results and the wins and losses, it's a community of people and there's tons of stories there. We launched Episode 1 last week and it's gotten terrific reception. We plan on doing nine episodes for The Year of the Raven. We're hard at work at trying to tell a better story around HCT. Oh, and also, we relaunched our website! We know that hasn't been ideal, because we have a lot of information and we need to get it out there, so the website launch was an important thing for us. That's something that will be ongoing. Every few months, we're going to release a new feature. Basically, it's going to be the home of HCT and it's going to be what we lean on to provide information that viewers will need to catch up and understand what's happening. Finally, I'm already thinking about 2019 and 2020. All these things feed into what I want to do for next year to continue to clarify storylines for viewers. So, to answer your question, I don't think there's viewer fatigue, but I do think we can do a better job. We have a massive global grassroots program and it's a challenge pulling it all together. Shacknews: Can you offer viewers a better idea of what's coming in "The Tour" and its next eight episodes, because one thing I've been curious about is how you feel the Hearthstone community has continued to evolve since HCT Worlds? Chou: You might be pleasantly surprised that it is a documentary focused on HCT. The backdrop of the documentary is about the Tour Stops and the competition that's there. But really, at the forefront... for instance, in episode one, it's a story focused set at the Taipei Tour Stop that took place last month and it is a story of how HCT has changed the lives of two people, primarily. One, obviously, is tom60229 [Chen Wei Lin], our World Champion from Taipei, and how winning the World Championship has changed his life and we illustrate that by, for instance… this is the first year that Taipei has officially recognized esports as an official sport of the country. So they had this intercollegiate championship thing with real sports and this is the first year that esports was an event there. And he was the poster boy for esports, because he won the World Championship in Hearthstone. So he was there with the president of the organization on stage, taking pictures, and giving a speech. So that's pretty awesome, because Tom's life has changed. Meanwhile, we also focused on Jia Dee, who's an up-and-coming caster out of the Southeast Asia region. She was casting the Taipei Tour Stop, so we focused on her and how, as a molecular biology major student, how casting Hearthstone and playing Hearthstone has changed her life as well. And she gets to travel around the world, see new things, meet new people, make new friends. It's focused on people and how Hearthstone has changed their lives and, right now, the way I see this playing out is, each episode will be a bit of a self-contained story. Episode one focused on these two people, episodes two and three are going to focus on back-to-back Tour Stops between DreamHack Austin, HCT Seoul, and DreamHack Sweden. We had crews at all three events. The next couple of episodes are going to focus on those Tour Stops and the players there, such as JustSaiyan [David Shan], Muzzy [Muzahidul Islam], and a lot of these pro players that you know. Each episode will be a little bit different. Tour Stops will be the consistent backdrop. Obviously, we'll try and tell the story of the tournament itself, but really, it's through the eyes of the people and how Hearthstone has changed their lives. Shacknews: Moving on to the Hearthstone Global Games, the dates and rosters are set. What will set this apart from other Hearthstone competitive tournaments that we've seen? Chou: It's our official team sport right now for Hearthstone. We've had individual competition all year round, so it'll be a good change of pace to see an all-star game where literally the best players in the world are on these country teams. And sometimes they're strange bedfellows, because they're usually on different teams in the professional world. When it comes to HGG, it's our World Cup come together. So there's going to be that interesting dynamic in that they get teamed up with people they don't necessarily expect to be teamed up with. Secondly, this year, we've also changed it up in that we shortened the HGG season a little bit. Last year, it was 15 weeks of group play and went into Gamescom for the world finals. This year, we shortened it to about eight weeks of group play for the round of 48 to the round of 16 and we fly the top 8 out to BlizzCon this year. It's changed and we're putting a lot more prestige and emphasis on HGG by showcasing the final at BlizzCon, but at the end of the day, I think it's going to be a refinement of what we did last year. We're also looking at the dynamic of… we've learned a lot about team Hearthstone dynamics last year, so we also want to experiment with how to present that better and make it a more interesting moment-to-moment experience. Shacknews: There was recently some controversy regarding the timing of Hearthstone updates. Some fans weren't so happy about waiting out the Summer playoffs for the latest patch. 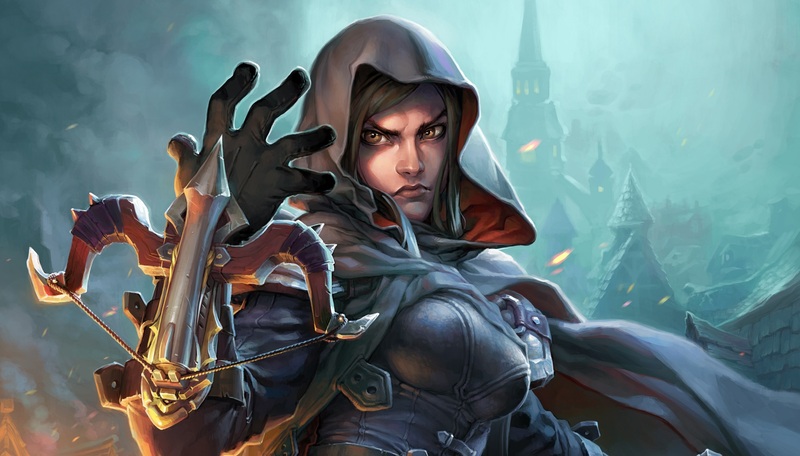 But on top of that, there was an issue regarding a hotfix for Tess Greymane and how competitive players couldn't adjust their decks following her adjustments. What's the process in determining when an update should go live to best serve both the casual and competitive communities? And also, what type of feedback has the team received regarding what happened with Tess Greymane? Chou: First of all, I think the response internally has been that this shouldn't happen ever. It's unacceptable and it was all-hands-on-deck in discussing how to avoid this going forward. I have nothing to announce today, but I'll just say that what happened at HCT Seoul in terms of that last-minute patch, it's a priority for Team 5 and the esports team to figure out. Because, one, it shouldn't happen. And two, we need to get to a place where the game team can do what they need to do to serve the wider Hearthstone gaming population and also, because it's a free-to-play online game that is very agile, they will be making patches all the time. We release lots of expansions and they're going to be balancing things all the time. That's just going to happen. You also have the reality of Hearthstone Esports is a massive program with a lot of tournaments, especially with the Tour Stop system. It's going to be nearly unavoidable where we have situations with "There's a tournament next weekend and you're putting out a patch this week, so how do we balance that?" We're discussing how to get to a place where [the Tess Greymane situation] never happens again. The discussion right now is going to probably involve dev work. Again, nothing to announce formally. But I do think that this is something that we're going to have to partner closely with the game team on to solve. And it's something that we will solve in the very near future. Shacknews: And lastly, this is the first major seasonal championship without Ben Brode. How has his departure affected the Hearthstone team as a whole and the esports team, in particular? Chou: Ben has been the spirit animal for Hearthstone, the franchise, in general. And obviously, we all love him. But from an esports standpoint, Ben hasn't really been iconic for the esport, in my opinion, and so his departure hasn't really impacted HCT. That said, he's missed. Let's put it that way. And we all wish him the best. 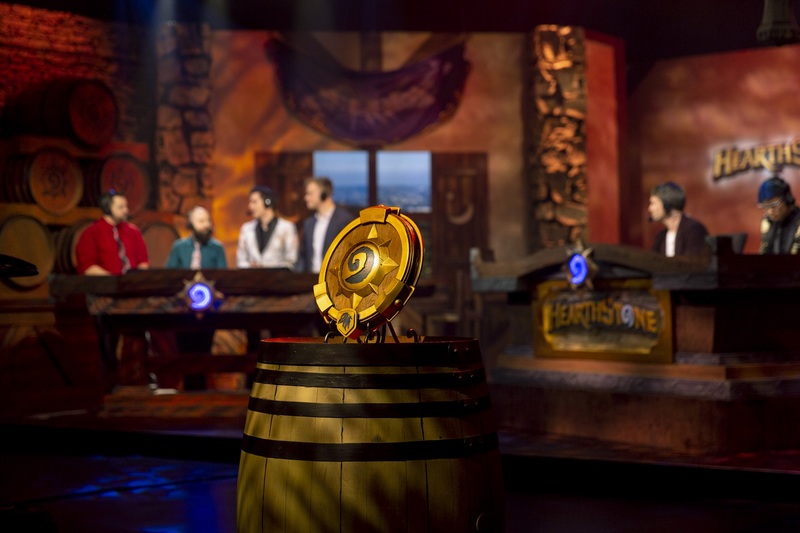 The Hearthstone Esports season continues with the start of Season 2 at this weekend's HCT Italy. For more on this past weekend's Summer Championship, revisit our breakdown of the epic Shudderwock Mirror.